We're back with another sisters' challenge! 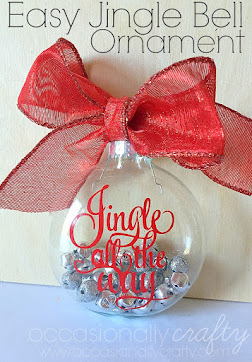 This month Laura challenged us to create something for the holidays using red and white. So, luckily I was already planning on painting this wooden sled from Michael's. 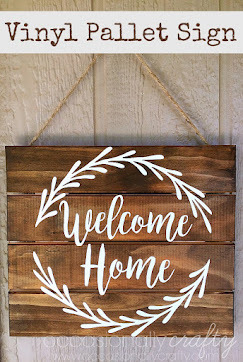 My daughter wanted to help me paint it, so we pored over ideas, trying to choose one that fit our family's decor and personality. 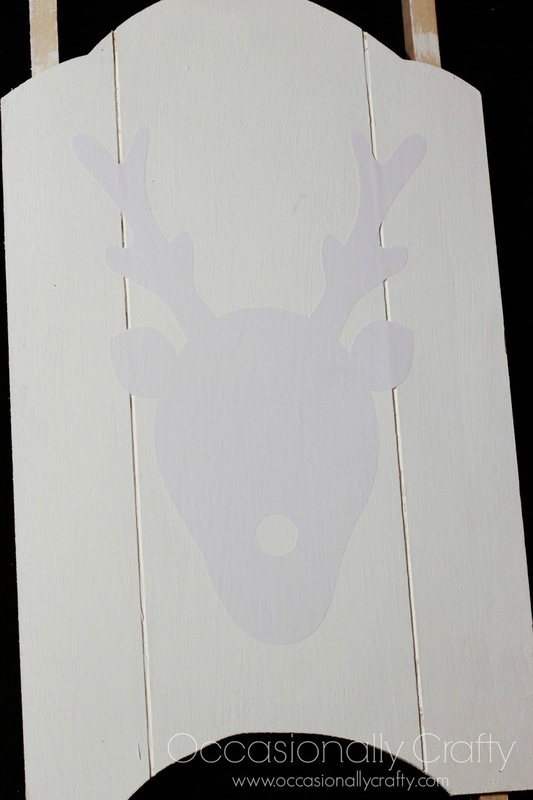 In the end, we settled for stenciling a cute reindeer silhouette (complete with shiny red nose) on a red, glittery background! We made this using the PVPP method I talked about here. Basically, we painted the sled white, applied the reindeer head in vinyl, then painted the sled again, this time using red. If you're new to glittering things, you'll want to use this method to keep it from sparkling up your whole house! Mix your glitter directly into mod podge. Don't skimp- use a whole lot of glitter! 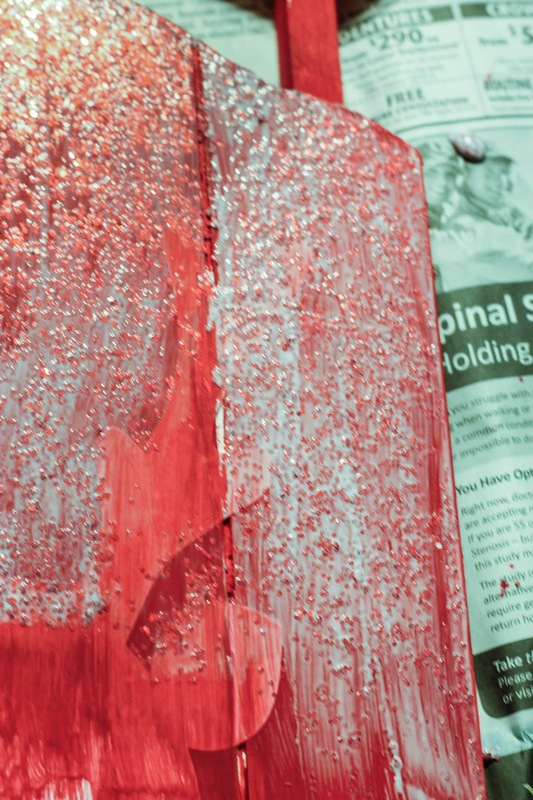 Then, using a paint brush, apply a thick coat of Mod Podge/Glitter over your paint. 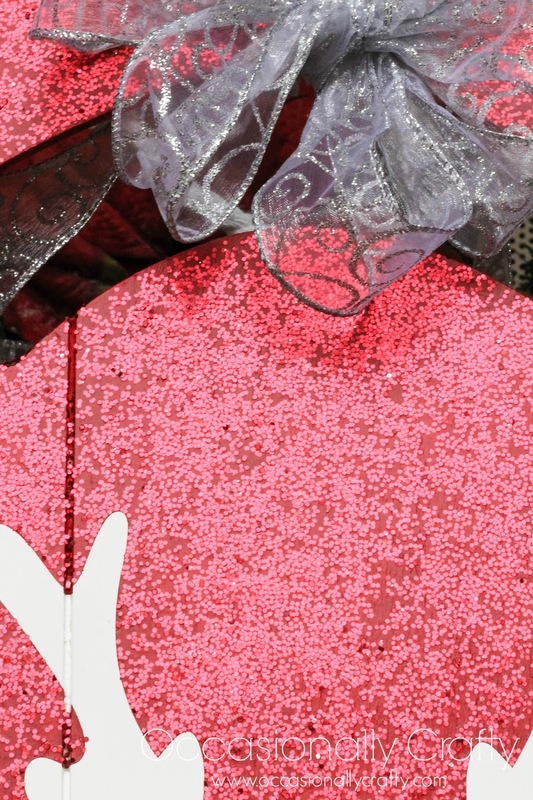 If there are spaces you need to fill in, apply a pinch of glitter to that spot, then paint over it with Mod Podge. Finish with a coat of sealant to protect your paint, and tie a pretty bow on top. 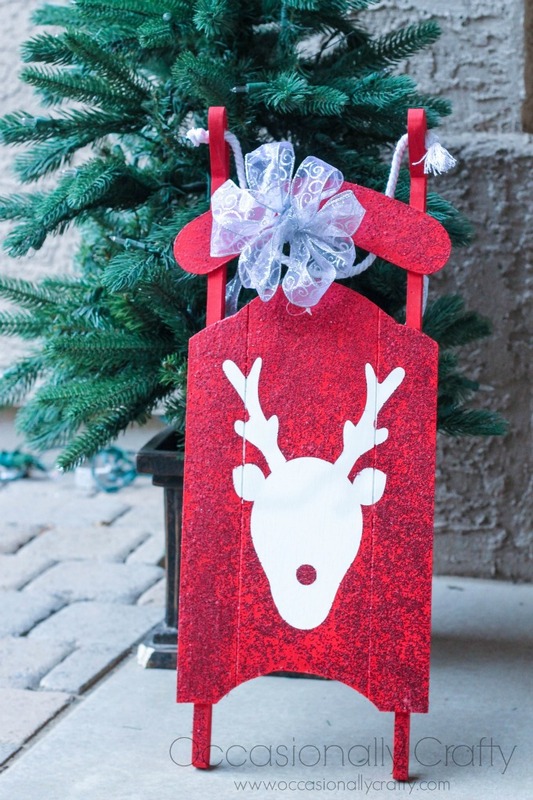 Now you've got a gorgeous little sled to add to your decor! What would you paint on your sled? 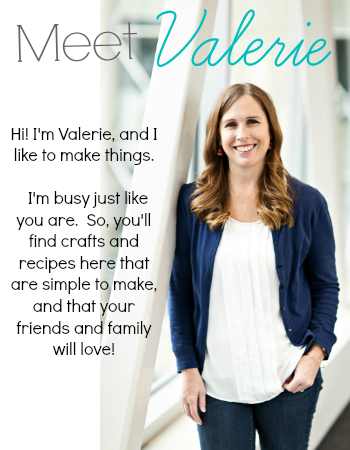 For other holiday inspiration, check out my Holiday Pinterest Board, or click on "Christmas" in my sidebar for lots of other fun recipes and projects! 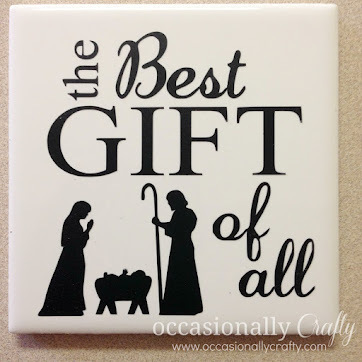 Follow Valerie (Occasionally Crafty)'s board Happy Holidays on Pinterest.